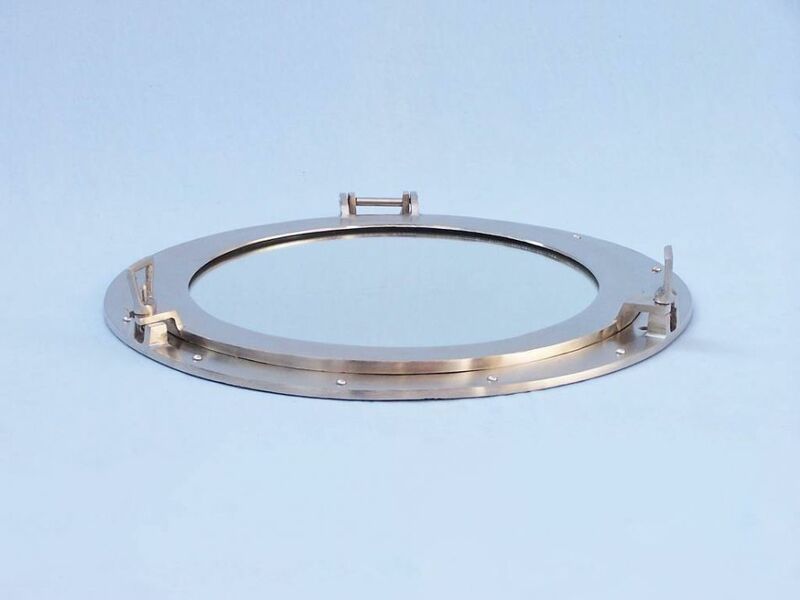 This Deluxe Class Brushed Nickel Porthole Window 20" adds sophistication, style, and charm for those looking to enhance rooms with a nautical theme. 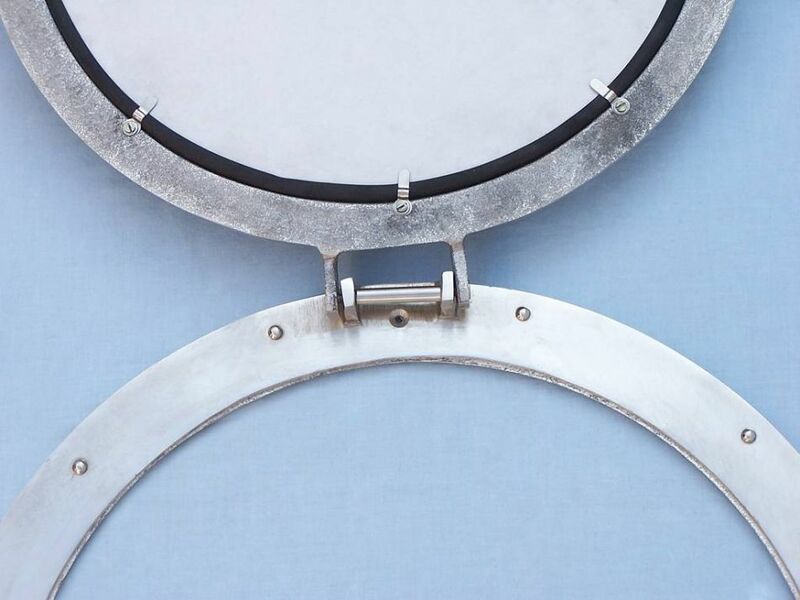 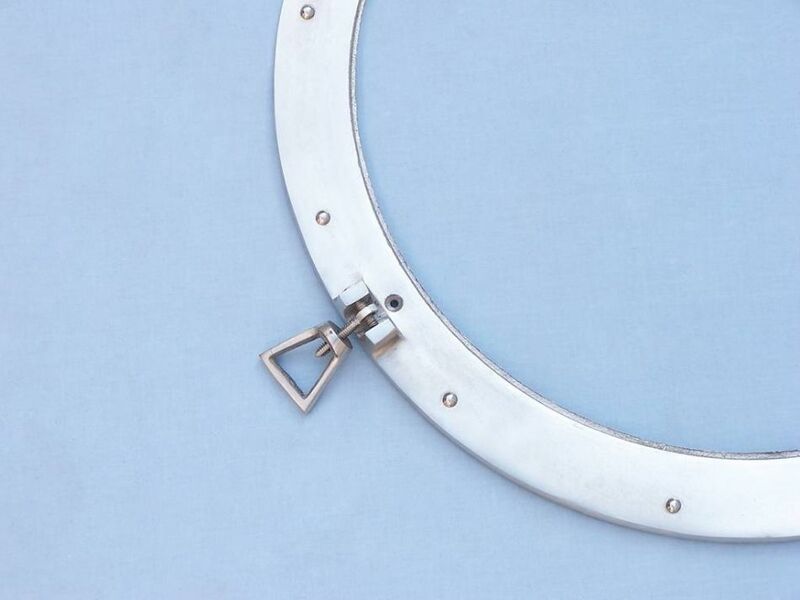 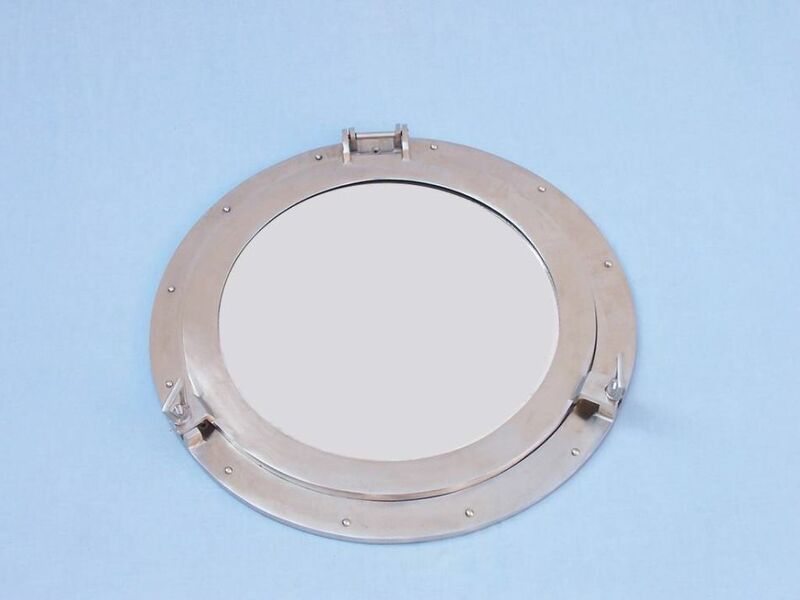 This boat porthole has a sturdy, heavy and authentic appearance, and can easily be hung to grace any nautical theme wall. 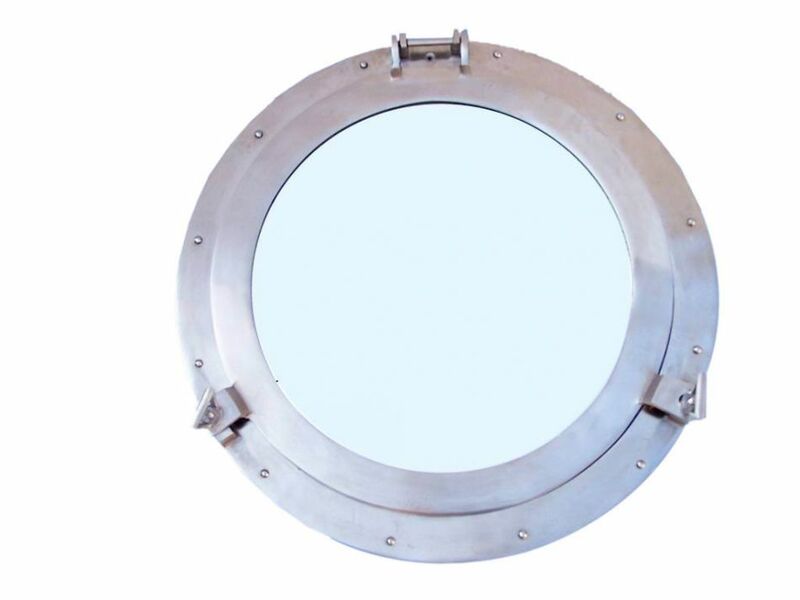 Our nautical porthole window makes a fabulous style statement in any room with its classic round frame, twelve metal-like rivets and two dog ears. 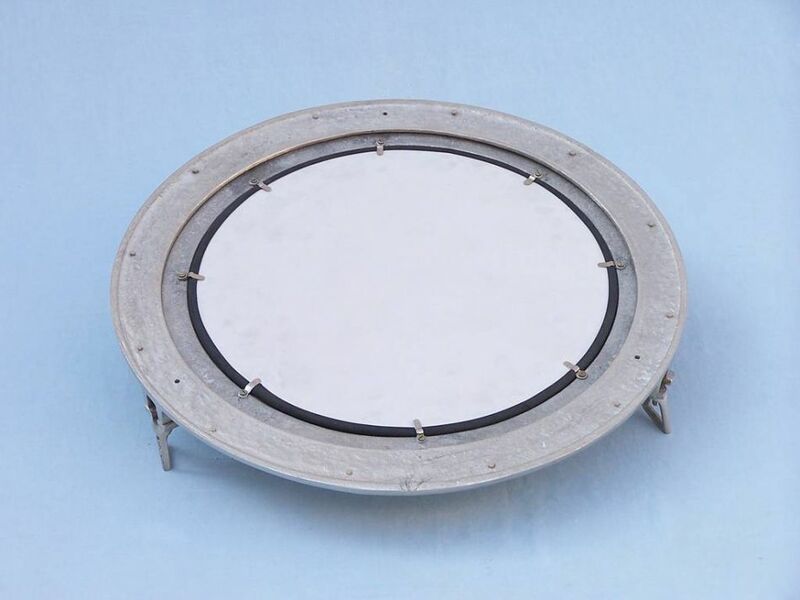 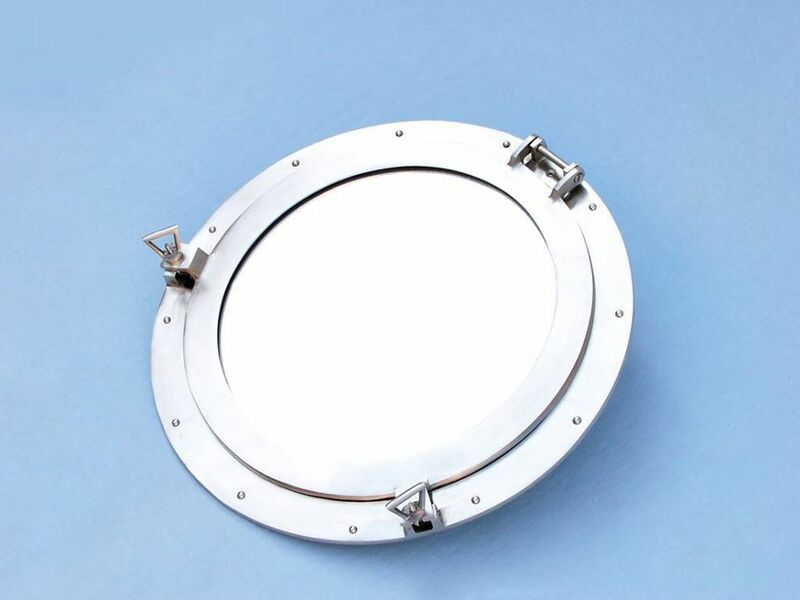 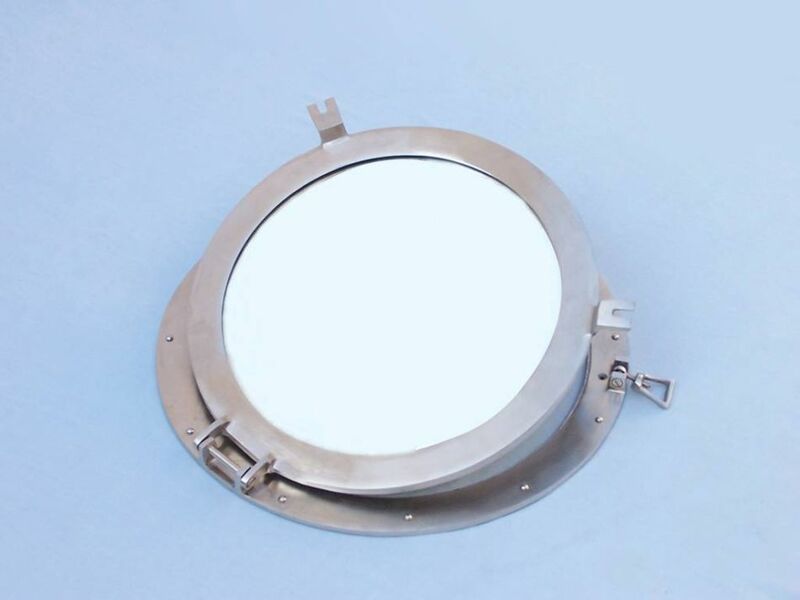 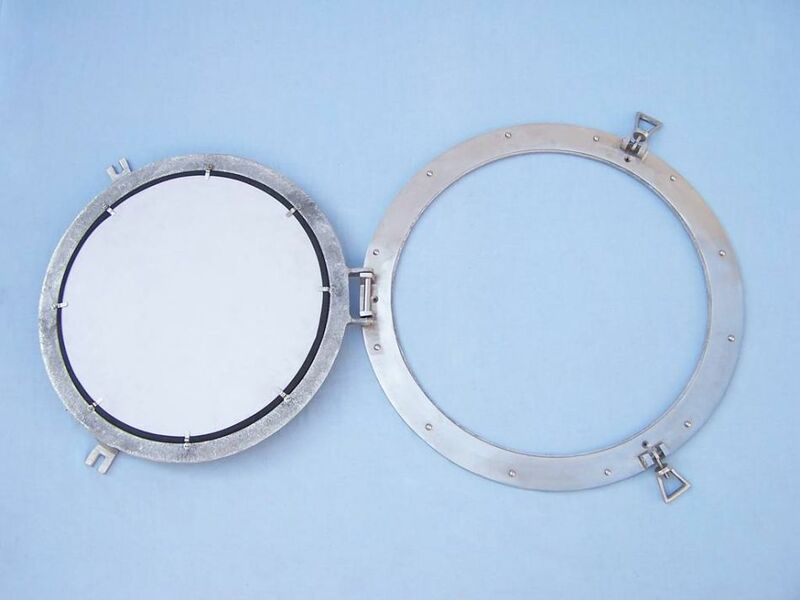 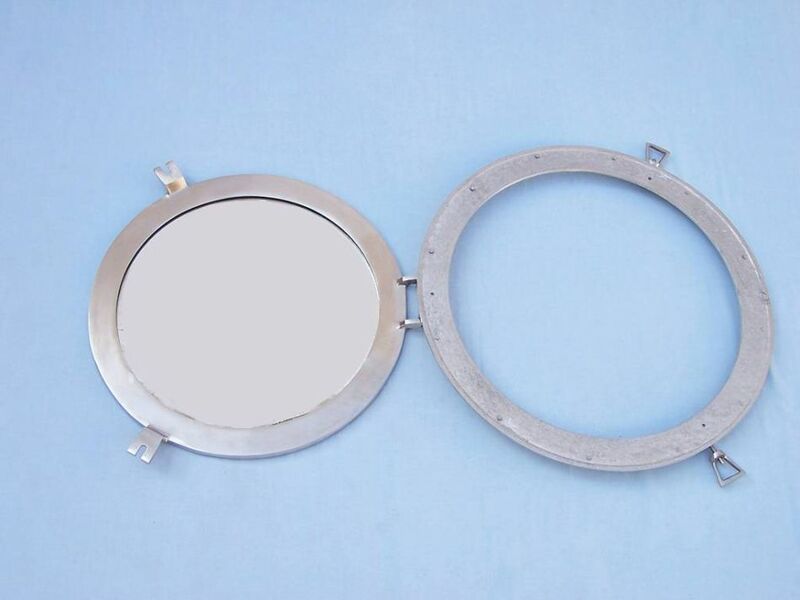 This marine porthole window has an 14" diameter and 3" deep when dog-ears are attached, 1.5" deep without dog ears attached.